And yet, he was a relatively unheralded recruit. Rivals gave him no stars. Scout.com gave him just two stars. 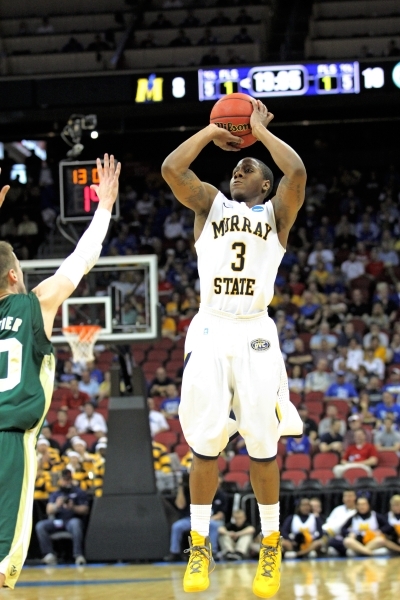 But Murray State coaches Billy Kennedy and Steve Prohm knew he was something special. “Coach Prohm and coach Kennedy did a great job of recruiting me,” Canaan said. “They came to all of my AAU games, came to the school to see me, and came to see me at my grandma's house. So when Canaan chose Murray State over Tulane, South Alabama, and Arkansas State, Kennedy and Prohm knew they had a steal. And they let Canaan know he should expect to play right away. He made a splash right away as he hit 3-of-6 shots and had two steals in the season opener at California, twice taking the ball away from All-America candidate Jerome Randle.